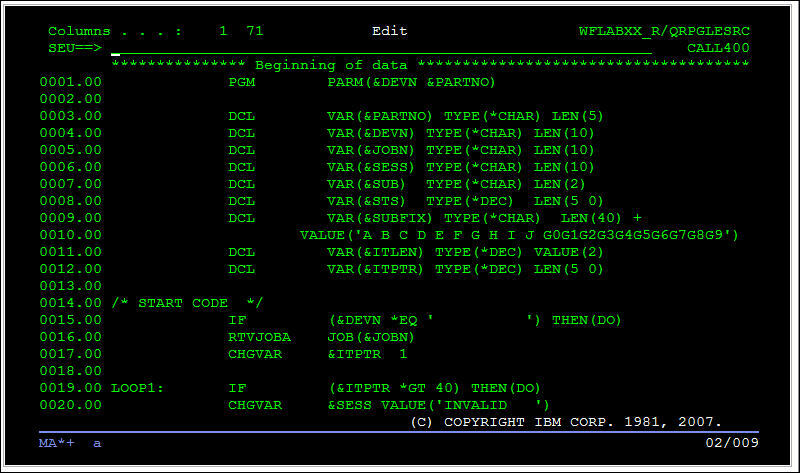 STRONGblog: Developing on the IBM i POWER7, time to change your IDE! Developing on the IBM i POWER7, time to change your IDE! 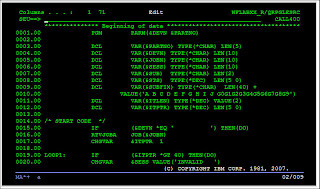 The traditional tool for development of applications on the IBM i is the SEU green screen interface. Many developers still use this for editing source members, and shrug the thought of moving to a rich IDE. What they may not know is that SEU/PDM have been "stabilized", which is an IBM euphemism that means "We ain't doing squat with this anymore". In other words, if you want to do things in RPG such sorting and searching data in Data Structure Arrays, you are S.O.L. These are features included in the 7.1 compiler, but NOT supported in SEU. If you want to code these types of features, you will need to move to the Rational Developer for POWER. The LPEX editor is the swiss army knife for editing multiple languages. It can emulate features of SEU, ISPF (for System z), vi and emacs (for unix). Simply change the workbench preferences for LPEX to open your source members using the SEU profile, and you'll feel like you're at home. Many web designers are used to using drag and drop elements to build out a web page. RPG developers can now use the Screen Designer to create or modify their 5250 screens, if they are still using such a type of interface. Note, that with features of RPG OpenAccess, they can now code in hooks into their RPG that can be called by web applications, thus giving you more options for interface modernization. Reports are traditionally one of the powerful features of IBM i. You can now use similar concepts from the screen designer to create new reports. You can see more of these videos at our playlist below.